Anthony V. Mannino | Econsult Solutions, Inc.
Anthony V. Mannino, Esq. is a Senior Advisor with Econsult Solutions, Inc. and presently serves as Chief Operating Officer for Wolf Commercial Real Estate, LLC. He is an expert in management operations and organizational strategy. 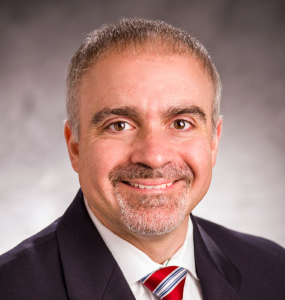 Mr. Mannino also has a deep understanding of the issues and people key to the development landscape in the region, having built trusted relationships with government and private sector leaders in Harrisburg, Philadelphia, and southern New Jersey. As COO of Wolf Commercial Real Estate, Mannino provides executive-level leadership to a sales and administrative team engaged in commercial real estate transactions. In addition to internal leadership, he is responsible for directing recruiting efforts, providing marketing and business development support, and implementing strategies for corporate growth in existing and new markets and business lines. Mr. Mannino served as Chief of Staff to state Sen. Larry Farnese in Philadelphia from 2008-2015, and as Chief of Staff to state Rep. Bryan Lentz in Delaware County from 2006-2008. As a veteran of legislative offices in the region, he is well-versed in pursuing initiatives which lie at the intersection of public policy stakeholder engagement. Prior to his public service, Mr. Mannino spent more than a decade as an attorney in the private sector, handling commercial landlord-tenant, property subrogation, and other commercial litigation matters for results-oriented institutional clients. Mr. Mannino serves on the Philadelphia Regional Port Authority board of directors, a role he has held since 2013. He previously served as a state Senate designee to the Pennsylvania Public School Employees Retirement System board from 2011-2015. Mr. Mannino has been actively involved in many area civic institutions, from community associations to advocacy non-profits. He presently serves on the board of directors of the Preservation Alliance for Greater Philadelphia, where he is also a member of the Executive Committee and chair of the Advocacy Committee. Mr. Mannino has a J.D. from Temple University School of Law and a B.B.A. in Accounting from Temple University. He is licensed to practice law in state and federal courts in Pennsylvania and New Jersey, and also is a licensed Pennsylvania real estate salesperson.